A warbling kea squawk has been shown to trigger playful behaviour in the cheeky native parrot, which researchers have compared to laughter in humans. 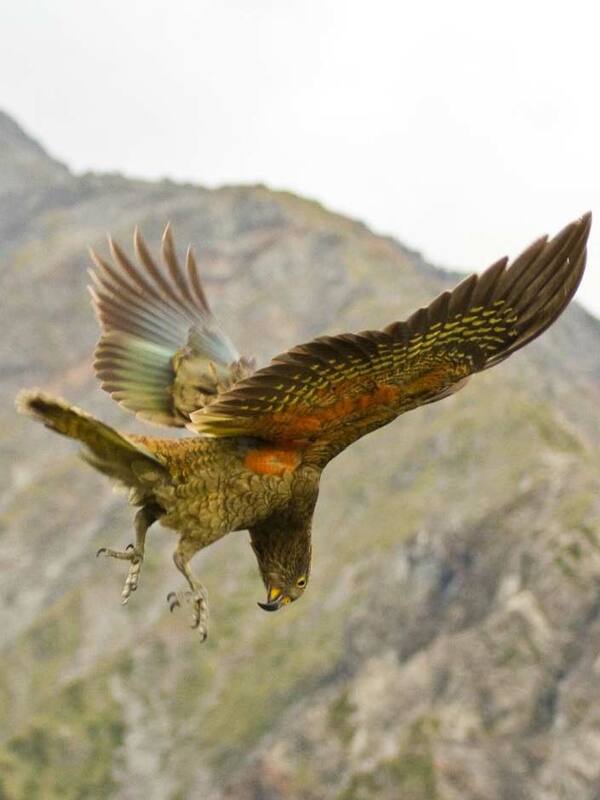 Kea are playful birds. They perform aerial acrobatics, chase each other through the air and have jostling play-fights on the ground. Researchers noticed that in the midst of such behaviour kea screech a particular ‘play call.’ After documenting these calls and their connection with the birds’ play behaviour, Dr Raoul Schwing and his colleagues got to thinking: how would kea in the wild would respond to recorded play calls? The authors detail their surprising results in a new article published today in the journal Current Biology. “We were able to use a playback of these calls to show that it animates kea that were not playing to do so,” reports Schwing, who undertook the study as part of his PhD research at the University of Auckland. 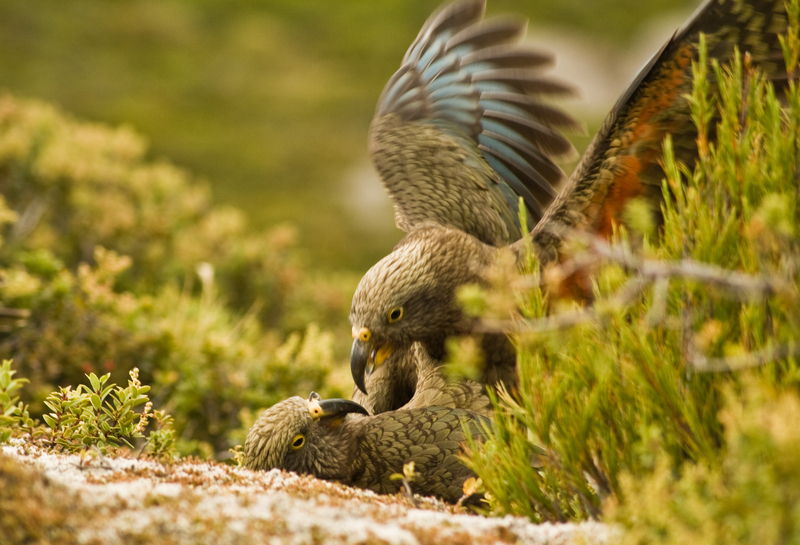 ‘Infectious laughter’: An adult male and female kea react to the playback of the play call by engaging in a tussle. The findings make kea the first known non-mammal to have such an “emotionally contagious” vocalization, the authors say. Earlier studies had made similar findings for chimpanzees and rats. The researchers say that they now plan to explore the effects of play and play calls on kea social groups more generally. The research is the latest in string of recent studies digging deeper into the behaviour of the iconic alpine parrot. Last month University of Auckland psychologist Alex Taylor published a study revealing the ways in which kea work together to obtain rewards. This was followed by another study from his research group uncovering how kea respond in unfair situations in which they don’t get expected rewards (turns out they’re not too worried). Speaking to the New Zealand Herald, Taylor outlined why this kind of research was important for the future of the species. Taylor said New Zealand was home to an abundance of “amazing” endemic birds, yet there remained a shortage of research around the kea, which now numbered only between 1000 and 5000.